This year I was fortunate enough to not only attend the CSUPERB Biotechnology Conference, but I was also fortunate enough to present at it as well. Being able to attend the conference was important for me because I was previously in the University of California System and never got to attend in undergrad. 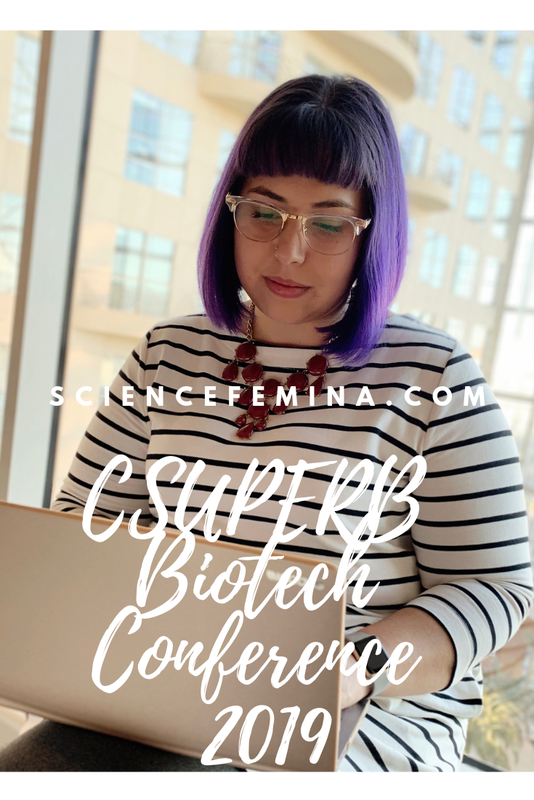 I was also super excited about the conference because it highlights the research and achievements that the CSU System is currently making- a system that I am interested in for future employment. The CSU System is the largest university system in the United States with 23 campuses, +484K students, and +50K staff and faculty. Approximately 100,000 students graduate a year from the CSU system, and it is the country’s largest producer of bachelor’s degrees. So, naturally, I needed to check this thing out! In order to attend this workshop, a couple of girlfriends and I drove down from Fresno to Garden Grove the day before. This gave us plenty of time to settle in and be able to wake up fresh and ready for the workshop. The workshop took place at 10 AM, hence, why we came early. The keynote speaker was Dr. Paolo Sassone-Corsi from the University of California, Irvine. He is currently the director of the Center for Epigenetics and Metabolism and a leader in molecular interactions between circadian rhythms, epigenetics, and cancer biology. Although this workshop was primarily sought to be a follow-up meeting to the CSU Interdisciplinary Cancer Meeting, I thought it was great as just a quick and dirty presentation about what’s going on in the cancer field currently. The presentations and following discussions were great and easily accessible to researchers and students that weren’t active in the field already. Below are some of the following discussions that I joined/contributed to. This was by far the most interesting discussion I joined during the workshop. The table discussion was held by Yinfa Ma, the Associate Dean of the College of Natural Sciences and Mathematics at CSU Sacramento. Although he is a newly hired dean, he has large dreams of starting a CSU Cancer Center, which will allow the CSU System to compete with other large research institutions such as the University of California System. Through the discussion, Dr. Ma was looking for advice and input from graduate students and faculty about how to begin the endeavor, and if faculty and students felt like this would be a useful tool for them. I mentioned that this could not only increase the system’s ability to do more rigorous research and compete with other schools in that way but could also attract more graduate-level students due to the increase in funding and potentially paying students for their research via tuition waivers and/or paid salaries. Similar to what rigorous research institutions do currently elsewhere. My last point was that, even before a true brick and mortar center was built, an initiative could be made to create a CSU Cancer Center Database that could easily connect the 23 CSU campuses through live research articles (updated in real time). This live database could potentially foster cross-system collaborations and even entice companies to fund CSU research. So, if you’re interested in potentially being a part of the startup CSU Cancer Center, this is definitely a thing and Dr. Ma is the person to contact! After having a “bust” at the health disparities table, I decided to go to a safe table where I could once again contribute to the conversation. So of course, I sat at the publishing and writing table. I was really hoping to discuss the topic of writing papers and grants along with other resources on these topics; however, the table was mostly filled with undergrads wondering how to get their name on a paper before they graduated and applied to graduate school. 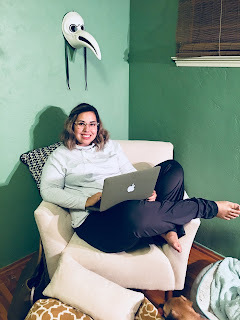 I was able to share my knowledge on the topic, that I gained from being a writing consultant, but I was really hoping to gain knowledge here, instead of giving it. After the table discussion, a few professors did approach me about my position at Fresno State as a graduate writing consultant. It seems that Fresno is one of the only CSUs that has a dedicated space where graduate students can get guidance on any writing process, whether it be grants, proposals, or their thesis/dissertation. In the future, I hope that other CSUs create a similar space to help graduate students, especially first-generation students, that are unaware of what is required in academic writing and may be turned off from graduate school because of it. Team science was the second workshop that I attended on the first day and the one I was most nervous about. I thought I had made progress on getting over my imposter syndrome, but the anxiety I experienced pre-workshop was intense. The workshop advertised a team exercise where we would be giving a global problem and then solve it with the help of our team. What gave me anxiety was that I doubted my knowledge of general concepts from different topics and then a possibility of me embarrassing myself in front of my peers from other universities. I still attended the workshop and it was AWESOME! Team science not only has collaboration with others in your field, but it incorporates scientists from other fields to work on a problem together which allows multiple views and opinions on how to solve the problem based on the scientist’s life experiences and specialties. One of my favorite ideologies of team science is that there is NOT a hierarchy within the team, and everyone is equal, no matter your level degree, area of specialty, gender, or race. The teammates also have to work together and share their knowledge instead of dividing up the tasks and assigning them, which is common in today's collaborations. The field of Biotechnology is already incorporating this team science concept and companies like Apple and Google have already been using them with high success rates. The CSU System is also trying to implement this new way of science and universities like CSU Long Beach have 3 female professors attempting to tackle homelessness in their city using system dynamics (engineering) and public health/policy. At the end of the workshop, the inevitable did happen and our table had to use team science to solve a global problem. My table was assigned the global need for pathogen-specific therapeutics. After brainstorming some routes of interest that were designed by mostly graduate students and not professors, surprisingly, we hashed out how we would accomplish the task and how we would have to work together to pull from all of our specialties. 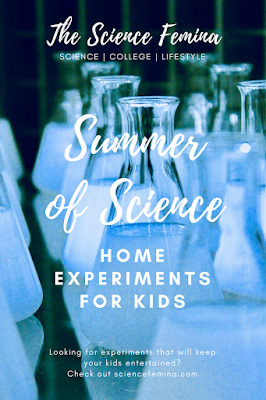 I really enjoyed this workshop because it shows how science is no longer efficient by using just one scientific field such as organic chemistry, microbiology, or public health. It truly did shed light on the fact that the world and our problems are increasing and becoming more and more complex and a new way of performing science is needed in order for us to solve our problems. The second day consisted of 3 plenary sessions that touched on topics for undergrads about how to take advantage of a conference like this and how to use it to plan their post-graduate paths. The last plenary session was the most important to me because it featured my good friend Brandy W. and her finalist oral presentation for the Eden Award. Later in the day, the first half of the posters were displayed for approximately 2 hours. I presented my poster that day, however, I was quite let down that I missed out on seeing half of the posters because I had to present mine. I wish that there were multiple poster sessions so that I had time to actually look at other posters that were in my field. After the poster presentations, a networking session was held. I didn’t really know what to expect from this session because I’m still trying to decide what I want to do with my degrees after I graduate. However, this session gave me a lot of ideas for what fields and type of work I can apply for. While at the session, I talked to a pretty broad group of professionals, which I highly recommend because you never know what is going to be interesting to you, especially since there are so many science-related jobs that many students don’t know about. The first professional I talked with was a Public Health Scientist for Los Angeles County. We talked about the certain pre-requisites needed in order to join the career and what the job was like. Although I don’t really care for wet lab/bench work, I thought his job was really interesting. During our discussion, he gave me some papers about what is required to apply for the job which is very basic and mostly covered if you have a graduate degree in biochemistry, molecular biology, or microbiology. After completing the requirements, you’re trained for 1 year and then can be hired by the county of your choosing. You’re probably asking how a PHS is different from a Clinical Lab Scientist at this point? Well, in his opinion, he said that CLSs have more mundane work where they run the same tests over and over while a PHS is actively doing research and reading literature to design diagnostic tests and identify potential pathogens. As for future job opportunities, the field is in quite a bit of need of scientists from the bachelor level to the Ph.D. level. The second professional I talked to was a little less adventurous for me. I chose a medicinal chemist. I decided to talk to this professional next because just in case some miracle happened, and I ended up liking bench work again I at least wanted to get some insight into the field and some advice. The professional for this table was a little cocky and very much a fan of his field, organic chemistry. I didn’t learn as much from the person as I would have liked, but his job sounds pretty much like what most chemists are doing in graduate school. Meeting deadlines and doing bench work. Not that this is bad, and for some of you this probably sounds like a dream, but for me, I was like meh and decided to move on. He did say though, that if you wanted to be more involved in the decision making and be a team lead that you would need a Ph.D. in organic or medicinal chemistry. FINALLY, at the end of the night, I made my way to someone that wasn’t in bench work. I talked to this lady who was a professional in Regulatory Affairs and was a former microbiologist who also didn’t enjoy bench work anymore. She told me that most people in regulatory affairs are scientists and that you don’t need a degree in the topic to become a consultant; however, there are degree programs that some schools offer. She described her job as a middle man to the FDA and industry/biotech companies. Her main role is to make sure that during/after clinic trials, the product can stand up to the regulations of the FDA, mainly the safety and efficacy of the product. If the product doesn’t stand up to the regulations of the FDA, she has training and the knowledge to work with the companies to get it up to standard. She also worked with companies when a product is recalled and then works to get the product back on the market or recreate a product that better fits FDA guidelines. I really liked the job she described and could see myself getting into regulatory affairs in the future. I mean who doesn’t love calling people out on their BS? Due to the amount of Fresno State students that got accepted to the conference (17 students total), we decided to all go out together. We ended up settling down at Native Son Alehouse in Santa Ana. I really recommend this place if you’re looking for an aesthetically pleasing yet delicious eatery/alehouse. Because Southern California winters are quite mild (65 *F) we were able to enjoy drinking out on the large patio overlooking downtown (featured behind me with the strung lights in the picture to the right). This place is also great if you have a wide range of beer drinkers in your group, the alehouse had quite a large selection of beers and even multiple sours on tap. The morning session topics were on immunotherapy and more faculty talks. Once again topics that were out of my field of research and were, in my honest opinion, too hard to follow. After lunch, the second half of the posters were presented. It was a lot of fun and much more engaging than the faculty talks because I was able to discuss the research being presented. To see all of the cool posters and research presented at the second half you can look at my Instagram stories under CSUPERB 2019. The closing banquet was probably the most anticipated event of the conference. Everyone dressed in their best even wear and the dinner was quite nice. However, what made it the most anticipated was that my friend Brandy W. was a finalist for the Eden Award, and this was when they were going to announce the winner. Unfortunately, Brandy didn’t win the award, but she is still such an amazing scientist and hero to our small cohort. Overall, for someone that has never gone to the conference, I really enjoyed myself. The conference was different than other conferences that I had attended because this conference focused less on learning and more on networking and future planning. I definitely recommend the conference for undergrads because they have significantly more workshops for students trying to join a lab, find a mentor, graduate, apply to graduate school, and apply for grants that are only offered to starting graduate students. As for graduate students that have already started their second year, the conference is a nice way to network, ESPECIALLY if you’re looking to stay within the system and teach or go on to a Ph.D. If you are in the CSU system and are planning on continuing in the system or are outside of the system and plan on transferring in, feel free to comment below any questions/comments you may have about the process of applying or attending this conference or a CSU in the next year. If you’re an undergrad or graduate student looking for help applying to conferences, be it the writing aspect, feel free to reach out to me via email or comments for one-on-one advice! I look forward to seeing you at the 2020 conference! If you’re applying to Fresno State, I look forward to seeing you in the Fall! A complete program of the conference can be found at https://www.csuperb.org/symposium/2019program/ . Some workshops were not included in this article due to conflicting schedules.